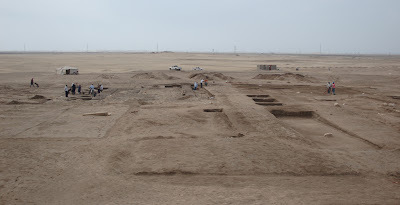 Dr. Mohamed Ibrahim, Minister State of Antiquities, announced the discovery of the foundations and the ruins of gates remaining of one of the castles at Tell Habua (The old Tharw, as mentioned in the inscriptions of Pharaoh Seti I at Karnak, describing the road of Horus), three kilometres northeast of Qantara East in North Sinai. Parts of octagonal limestone column of a 1 meter height and 28cm diameter bearing Ramses II cartouche with his name and titles in scripted including The beloved of Amon, Horus of the two horizons, Egypt’s protector and conqueror of the foreign countries. The minister referred that the discovery was made by the Ministry mission and contributed to by the newly recruited graduates during their training of field work within the ministry’s plan to transfer expertise to them. 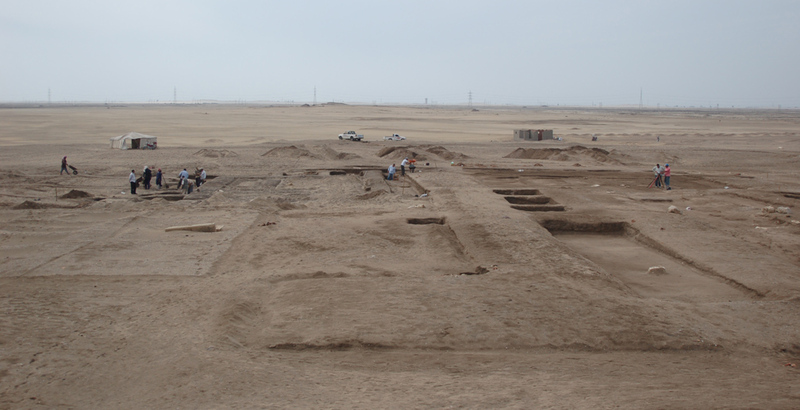 Dr. Mohamed Ibrahim said that a plan to manage the site of Tell Habua and open it to local and international tourism as it is considered one of the important sites in Sinai as the largest fortified city of the New Kingdom on the Horus Road which was the main trade and military route from Egypt to Palestine. Meanwhile, The German Egyptian mission directed by Dr. Eva Lange working at the site of Tell Basta in Sharkia (co-operation between Egypt Exploration Society/ University of Göttingen and MSA) has found a pink granite statue of Ramses II of 247cm height, 200cm width and 92cm depth. The mission also found mud bricks structures dated back to late period at the Southern East of the temple entrance in Tell Basta. 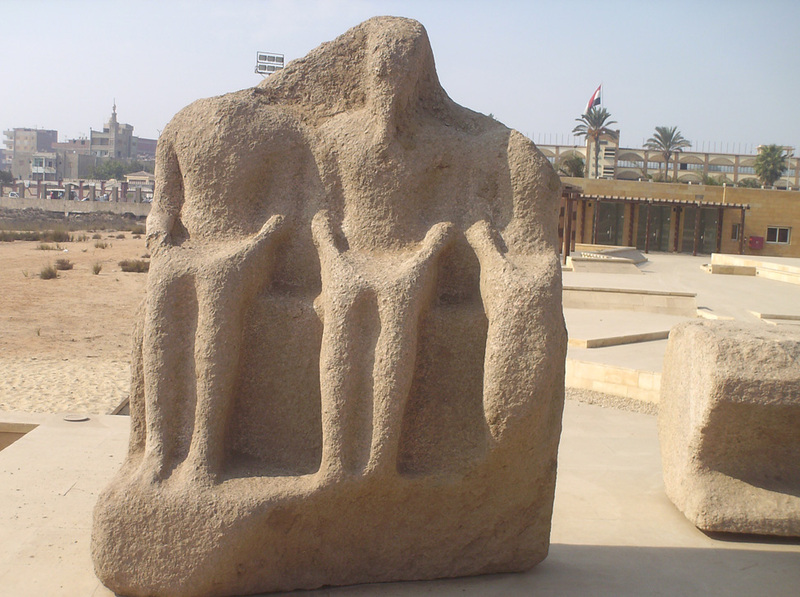 Adel Hussein, Director of the Lower Egypt and Sinai antiquities, said that the statue was found in layers of rudiment date back to Roman era. The statue represents Ramses II in the middle of Goddess Bastet and God Atom (Atum). 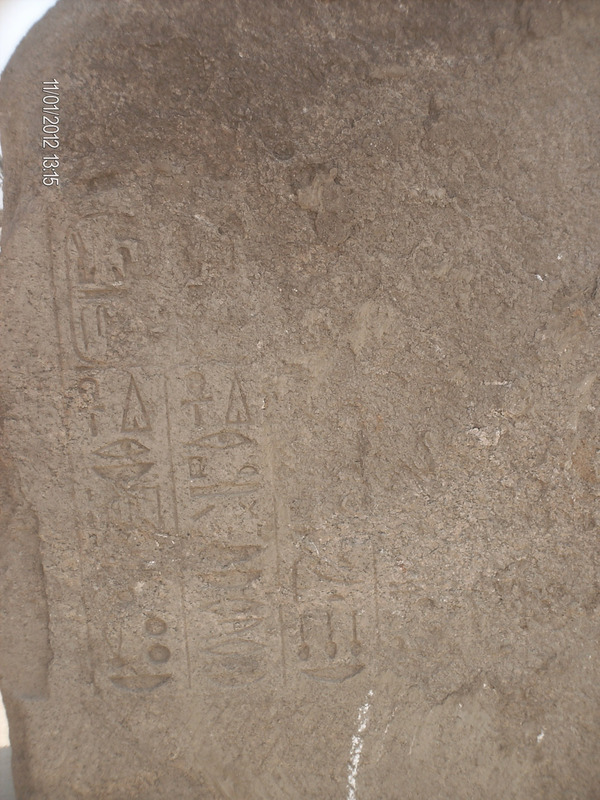 On the back of the statue, there are remains of three columns of hollow inscriptions and in between them Ramses II cartouches. The statue was moved from the site to the Open Air Museum in Tell Basta.